Miyamoto horns are divided into three categories: standard, highly-durable and dust-proof. 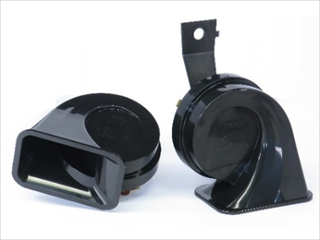 Our horns are certified for Europe, China and Taiwan and have a long history of being adopted by a Japanese car manufacturer as their genuine parts. Spiral-type (trumpet-type) horns produce a soft sound; they are used in vehicles designed for softer sounds. 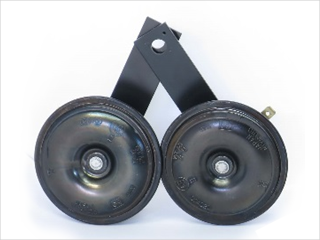 Disc-type horns produce a sharp sound with a high sound pressure level.